EduTab ClassroomWe transform the world with technology. EduTab Classroom gets your students motivated and focused. EduTab lets teachers and students connect with just a single tap. This enables ease of content transfer, instant communication and a host of other interactive features. EduTab enhances student’s ability to collaborate on substantive content through a constructivist approach. This creates an environment of active, involved, exploratory learning. EduTab Tablet Language Lab is the best instructional tool available for language learning. This educational solution brings assured benefits for both teachers as well as students in improving their language skills. This will be a fresh experience to everyone who wishes to explore their language skill and establish it to a standard platform. EduTab Tablet Language Lab is full of applicable and creative featured, yet the most affordable language laboratory on the market. 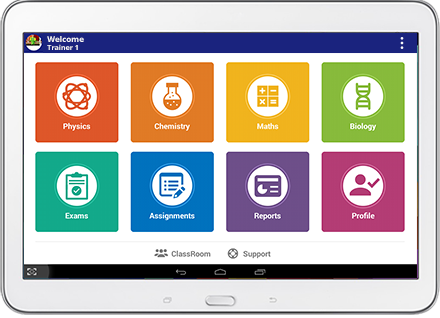 EduTab creates an innovative system with multiple possibilities for individualization and interactivity. 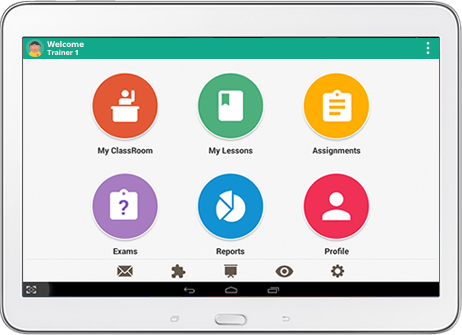 Learners can participate in a number of stimulating learning activities from our application. Modeled on the ethos of active, constant evolvement, EduTab changes the learning process. 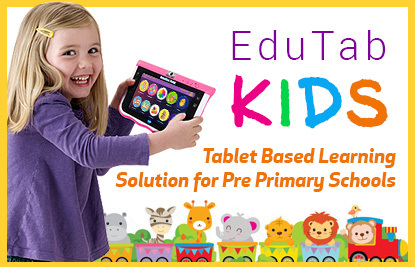 EduTab boosts engagement, achievement and even optimizes educational efforts. s one of the most advanced and sophisticated tools in our solution, which allows students to compare their voice with their teacher. Graphical representation helps students track their progress.